With a little help from city officials, and in spite of protest over that help, voters in Wood River have passed a 1 percent sales tax increase by a margin of 54 to 46 percent. 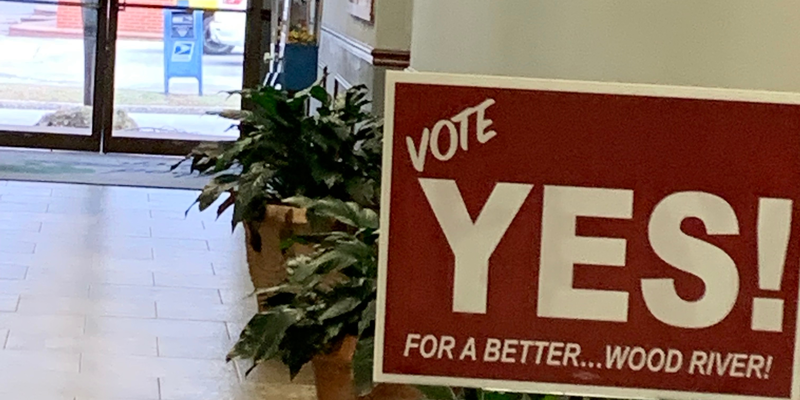 Madison County Associate Judge Clarence Harrison declined to order the City of Wood River to remove "vote Yes" signs positioned on city-owned property and inside City Hall that promote a sales tax increase referendum on the ballot in Tuesday's election. Belleville city attorney Brian Flynn ran amok about this time last year, and now he’s doing it again.